The ever-increasing exposure to electromagnetic radiation, caused by mobile telephony, electrical devices, mains and traction current, etc., ensures that we are exposed to electrosmog all the time, wherever we are. A growing number of people are rightly concerned and recognise the disadvantages that this brings for their health and well-being. The number of individuals informing themselves of the health consequences of electromagnetic radiation is increasing all the time. Many people wish to take their own precautions, and therefore require products that emit low radiation or provide protection against electrosmog. In parallel to this development, the range of products available, which apparently or actually prevent electrosmog or protect the human body against it, is rising. However, it is almost impossible for laypersons and even experts to test the claimed characteristics of these products – such as „protects against electrosmog“ or „low radiation“ – before making a purchase decision. 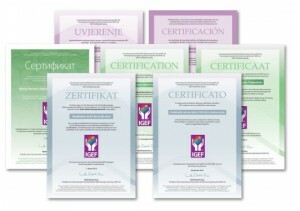 In order to assist the consumer in the decision-making process, the International Association for Electrosmog-Research IGEF has developed a certification process in cooperation with scientists and experts, which is suitable for labelling low-radiation electrical/electronic devices, and products that provide protection against electrosmog. 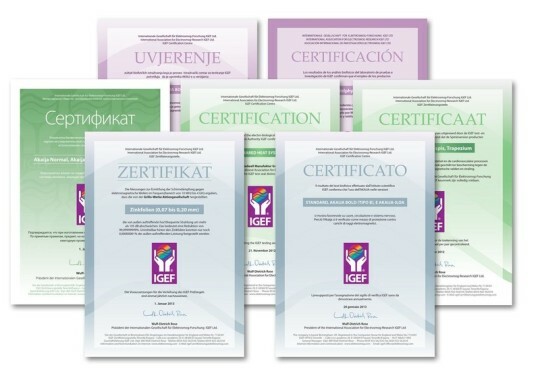 The product testing and certification is performed by the International Federation for the Evolution of ElectroClean Technology IFEECT in accordance with the certification process stipulated by the IGEF, in measuring labs approved by the IGEF. 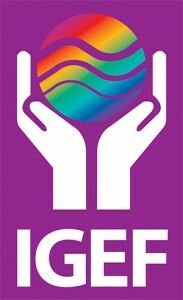 In order to label certified products, the International Association for Electrosmog-Research has created the IGEF seal, which is registered as a legally protected word/picture mark with the German patent and trademark office under registered no. 39642272. The Office of Technology Assessment of the Congress of the United States recommends a policy of „prudent avoidance“ with respect to EMF. Prudent avoidance means to measure fields, determine the sources, and act to reduce exposure. the keyboard is idle for a short while. 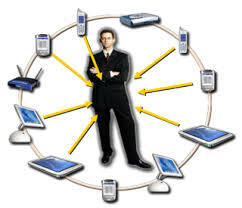 To „wake up“ the monitor, simply touch the keypad or mouse. Note: this is better than Screen Savers, which do not reduce radiation or power consumption! This may only be available in some Windows 95/98 computers.